“It is a comprehensive guide on choosing and paying for adult care and support services in Shropshire. 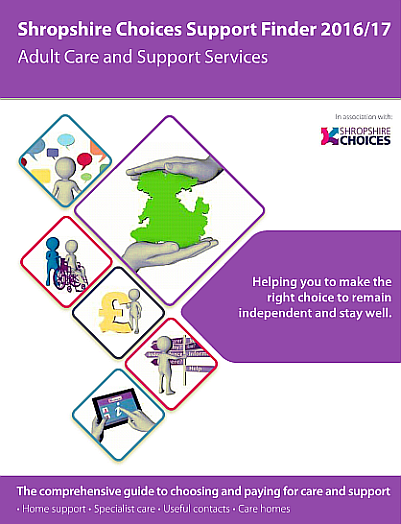 The new Shropshire Choices support finder could be very useful to anyone needing to navigate their way around Adult Care provision in the county. The file can be downloaded from the bottom of the Newsroom article or direct by clicking on the image below.